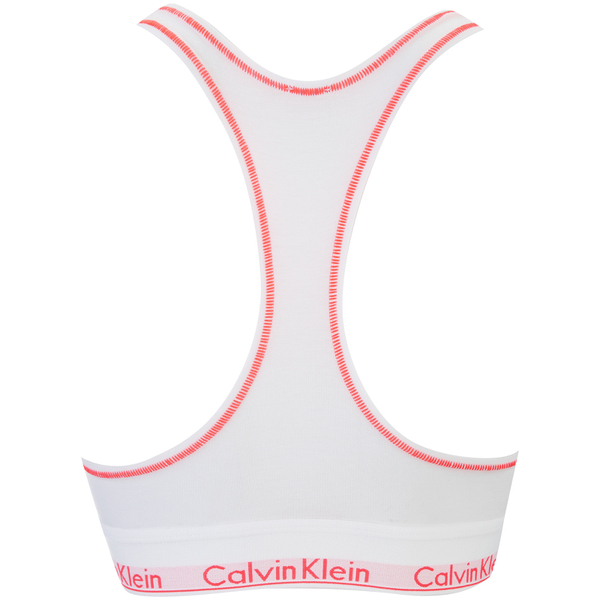 Women's cotton bralette from Calvin Klein. Cut from stretch jersey, the 'Modern' bralette features a scoop neck, soft, unwired cups and an elasticated underbust band with Calvin Klein branding. Complete with racer back straps. 53% Cotton, 35% Modal, 12% Elastane.